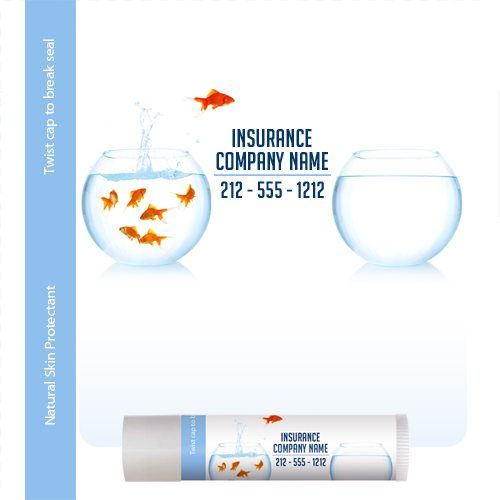 Personalized Insurance fish jumping theme imprinted lip balms truly represents the essence of insurance sector. It signifies hope, and expectations of an average customer who wishes to leap into ocean after dipping in a river. 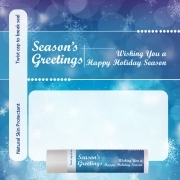 Advertisers can choose to offer these lip balms as a goodwill token or brand building gift. Customers who receive this gift will think fondly about the insurance agency, which cared for their smiles and insured their futures. 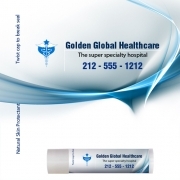 Health Quotient – No degenerative synthetic enhancers added to alter quality or quantity of the lip balm. No artificial additives, taste enhancers, colors, added. Not animal tested. 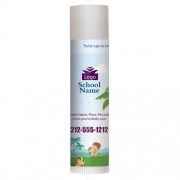 Choices Offered – Advertisers can seek fruity flavored lip balms with or without Sunscreen protection factors. They can opt from single, mixed and exotic flavored lip balms. 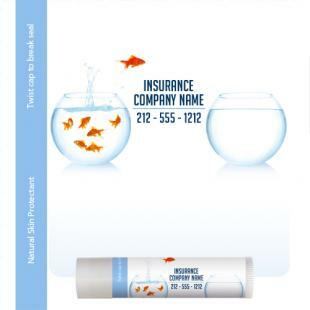 Gifting Favors – Personalized insurance fish jumping theme can be sought in any season and it can be favored by insurance agents, insurance clerks, insurance advisors, etc. 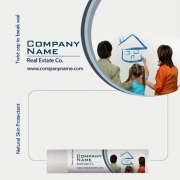 It can be handed over to the customer after premium payment or at the time of installation. Imprint Area : 1.75" x 1.75"